Stay organized, wherever business takes you, with the WorkForce DS-40 wireless portable document scanner. At 1.1 lb, you can easily slip it into your briefcase and go. 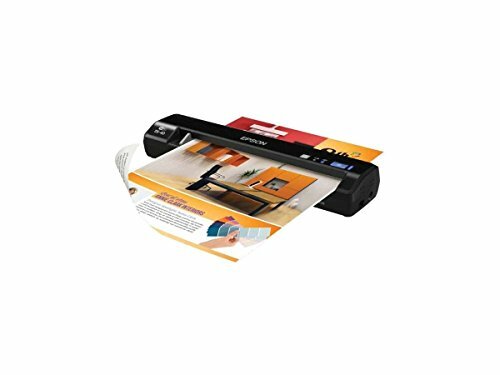 Quickly scan documents, business cards and more — up to 8.5" x 36" — to smartphones, tablets, laptops or cloud services including Dropbox, Google Drive and Evernote. With tools such as text enhancement, skew correction, Color Enhancement and Color Drop Out, scanning documents into editable text and searchable PDFs has never been easier. It also includes a TWAIN interface to support third-party document management software. Battery/USB-powered and lightweight, the DS-40 is perfect for mobile professionals. Wirelessly scan critical documents - scan and send receipts, statements, business/plastic cards and more to your smartphone, tablet, Mac, PC or popular cloud services. Lightweight and travel-friendly - at 1.1 lb, get the portability you need to capture data while on the road; battery or USB power source. Create editable text and searchable PDFs - OCR and document management suite included for PDF and PDF/A files. Connect to document management software - TWAIN driver supported.